To configure your campaigns with Bidalgo - Facebook Marketing Partner, follow the steps below. Configure your Facebook integration by following the guidelines here. Enter "Bidalgo" in the search field and click on its logo to open Bidalgo's configuration window. In the Permissions tab toggle the Agency Permissions to ON. This allows Bidalgo to see the relevant Facebook data on their AppsFlyer agency dashboard. 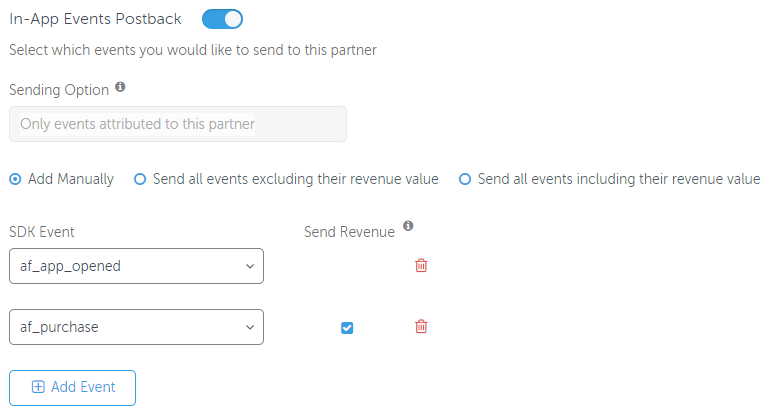 Return to the Integrated Partners window. Enter "Bidalgo - Facebook Marketing Partner" integration. 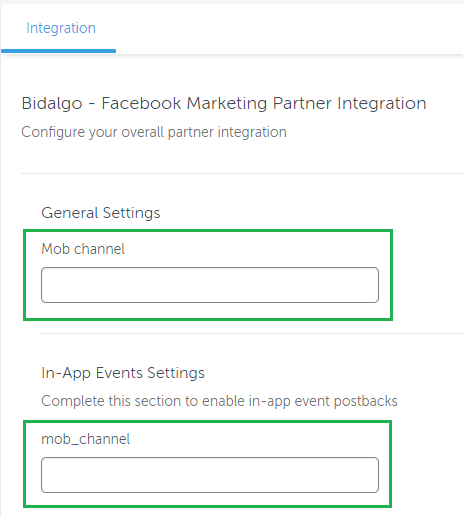 In both the General Settings and In-App Events Settings sections, add the Mob channel parameter provided to you by Bidalgo. Individually add the in-app events you want to send to Bidalgo.